Sanz-Estébanez, S., L. Cordero-Grande, M. Martin-Fernández, and C. Alberola López, "Robust Windowed Harmonic Phase Analysis with a Single Acquisition", MICCAI , Granada, MICCAI, 2018. 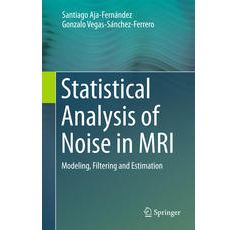 Aja-Fernández, S., T. Pieciak, A. Tristán-Vega, G. Vegas-Sánchez-Ferrero, V. Molina, and R. de Luis-García, "Scalar diffusion-MRI measures invariant to acquisition parameters: A first step towards imaging biomarkers", Magnetic Resonance Imaging, vol. 54, pp. 194 - 213, 2018. Curiale, A. Hernán, G. Vegas-Sánchez-Ferrero, and S. Aja-Fernández, "Techniques for tracking: image registration", Handbook of Speckle Filtering and Tracking in Cardiovascular Ultrasound Imaging and Video: IET, 2018. Molina, V., A. Bachiller, R. de Luis-Garcia, A. Lubeiro, J. Poza, R. Hornero, J. Francesc Alonso, M. Angel Mañanas, P. Marqués, and S. Romero, "Topography of activation deficits in schizophrenia during P300 task related to cognition and structural connectivity", European Archives of Psychiatry and Clinical Neuroscience, Feb, 2018. Sanz-Estébanez, S.., L.. Cordero-Grande, T.. Sevilla-Ruiz, A.. Revilla-Orodea, R. de Luis-Garcia, M. Martin-Fernandez, and C. Alberola-Lopez, "Vortical Features for Myocardial Rotation Assessment in Hypertrophic Cardiomyopathy using Cardiac Tagged Magnetic Resonance", Medical Image Analysis, vol. In Press, 04/2018. Leal-Campanario, R.., L.. Alarcon-Martinez, H.. Rieiro, S.. Martinez-Conde, T.. Alarcon-Martinez, X.. Zhao, J.. LaMee, P.J.. Popp, M.E.. Calhoun, J. I. Arribas, et al., "Abnormal Capillary Vasodynamics Contribute to Ictal Neurodegeneration in Epilepsy", Scientific Reports, vol. 7, 2017. Sanz-Estébanez, S., J. Royuela-del-Val, J. Broncano-Cabrero, S. Aja-Fernández, and C. Alberola-Lopez, "ADC-Weighted Joint Registration-Estimation for Cardiac Diffusion Magnetic Resonance Imaging", Congreso Anual de la Sociedad Española de Ingeniería Biomédica, 12/2017. Peña-Nogales, Ó., D. Hernando, S. Aja-Fernández, and R. de Luis-Garcia, "Determination of the optimal set of b-values for ADC mapping under a Rician noise assumption", International Society of Magnetic Resonance in Medicine 25th Annual Meeting and Exhibition, Honolulu, HI, USA, pp. 3341, 2017. Aja-Fernández, S., Ó. Peña-Nogales, and R. de Luis-Garcia, "Effect of sampling on the estimation of the apparent coefficient of diffusion in MRI", ICASSP 2017, New Orleans, LA, IEEE signal processing Society, 2017. Sanz-Estébanez, S., Ó. Peña-Nogales, R. de Luis-Garcia, S. Aja-Fernández, and C. Alberola-Lopez, "Groupwise Non-Rigid Registration on Multiparametric Abdominal DWI Acquisitions for Robust ADC Estimation: Comparison with Pairwise Approaches and Different Multimodal Metrics", International Symposium on Biomedical Imaging: From Nano to Macro (ISBI2017), Melbourne, Australia, 2017. Royuela-del-Val, J., F. Simmross-Wattenberg, and C. Alberola-Lopez, "Libstable: Fast, parallel, and high-precision computation of α-stable distributions in R, C/C++, and MATLAB", Journal of Statistical Software, vol. 78, issue 1, pp. 1-25, 2017. Gibson, R. M., A. Amira, N. Ramzan, P. Casaseca-de-la-Higuera, and Z. Pervez, "Matching pursuit-based compressive sensing in a wearable biomedical accelerometer fall diagnosis device", Biomedical signal processing and control, vol. 33, pp. 96–108, 2017. Zhang, Y., Ó. Peña-Nogales, J. H. Holmes, and D. Hernando, "Monte-Carlo Analysis of Quantitative Diffusion Measurements Using Motion-Compensated Diffusion Weighting Waveforms", International Society of Magnetic Resonance in Medicine 25th Annual Meeting and Exhibition, Honolulu, HI, USA, pp. 1733, 2017. Pieciak, T., S. Aja-Fernández, and G. Vegas Sánchez-Ferrero, "Non-Stationary Rician Noise Estimation in Parallel MRI using a Single Image: a Variance-Stabilizing Approach", IEEE Transactions on Pattern Analysis and Machine Intelligence, vol. 39, issue 10, pp. 2015-2029, 2017. Peña-Nogales, Ó., R. de Luis-Garcia, S. Aja-Fernández, Y. Zhang, J. H. Holmes, and D. Hernando, "Optimal design of motion-compensated diffusion gradient waveforms ", International Society of Magnetic Resonance in Medicine 25th Annual Meeting and Exhibition, Honolulu, HI, USA, pp. 3340, 2017. Sanz-Estébanez, S., J. Royuela-del-Val, S. Merino-Caviedes, A.. Revilla-Orodea, T.. Sevilla-Ruiz, M. Martin-Fernandez, and C. Alberola-Lopez, "An Automated Tensorial Classification Procedure for Left Ventricular Hypertrophic Cardiomyopathy", IWBBIO 2016 (4th International Work-Conference on Bioinformatics and Biomedical Engineering), LNBI 9656, vol. 1, Granada, Spain, pp. 1-12, 2016. Royuela-del-Val, J., M. Martin-Fernandez, F. Simmross-Wattenberg, and C. Alberola-Lopez, "Cardio-respiratory motion estimation for compressed sensing reconstruction of free-breathing 2D cine MRI", Modulated/Incomplete Data 2016, SFB Workshop., Graz, Austria, Mathematical Optimization and Applications in Biomedical Sciences (MOBIS), SFB Research Center, 2016. Santos-Mayo, L.., L. Miguel San-Jose-Revuelta, and J. I. Arribas, "A computer-aided diagnosis system with EEG based on the P3b wave during an auditory odd-ball task in schizophrenia", IEEE Transactions on Biomedical Engineering, vol. PP, no. 99, pp. 1-1, 2016. Monge-Alvarez, J., C. Hoyos-Barceló, P. Lesso, J. Escudero, K. Dahal, and P. Casaseca-de-la-Higuera, "Effect of importance sampling on robust segmentation of audio-cough events in noisy environments", Engineering in Medicine and Biology Society (EMBC), 2016 IEEE 38th Annual International Conference of the: IEEE, 2016. Sanz-Estébanez, S.., J.. Royuela-del-Val, T.. Sevilla-Ruiz, A.. Revilla-Orodea, S. Aja-Fernández, and C. Alberola-Lopez, "Harmonic Auto-Regularization for Non Rigid Groupwise Registration in Cardiac Magnetic Resonance Imaging. ", Congreso Anual de la Sociedad Española de Ingeniería Biomédica 2016, Valencia, Spain, 11/2016. Curiale, A. H., G. Vegas-Sanchez-Ferrero, and S. Aja-Fernández, "Influence of ultrasound speckle tracking strategies for motion and strain estimation", Medical Image Analysis, vol. 32, pp. 184 - 200, 2016. Royuela-del-Val, J., L. Cordero-Grande, F. Simmross-Wattenberg, M. Martin-Fernandez, and C. Alberola-Lopez, "Jacobian weighted temporal total variation for motion compensated compressed sensing reconstruction of dynamic MRI", Magnetic Resonance in Medicine, 2016. Cordero-Grande, L., J. Royuela-del-Val, S. Sanz-Estébanez, M. Martin-Fernandez, and C. Alberola-Lopez, "Multi-oriented windowed harmonic phase reconstruction for robust cardiac strain imaging", Medical Image Analysis, vol. 29, pp. 1-11, 2016. Gibson, R. M., A. Amira, N. Ramzan, P. Casaseca-de-la-Higuera, and Z. Pervez, "Multiple comparator classifier framework for accelerometer-based fall detection and diagnostic", Applied Soft Computing, vol. 39, pp. 94–103, 2016. Royuela-del-Val, J., M. Usman, L. Cordero-Grande, M. Martin-Fernandez, F. Simmross-Wattenberg, C. Prieto, and C. Alberola-Lopez, "Multiresolution Reconstruction of Real-Time MRI with Motion Compensated Compressed Sensing: Application to 2D Free-Breathing Cardiac MRI", International Symposium on Biomedical Engineering: From Nano to Macro, Prague, Check Republic, IEEE Signal Processing Society, 2016.